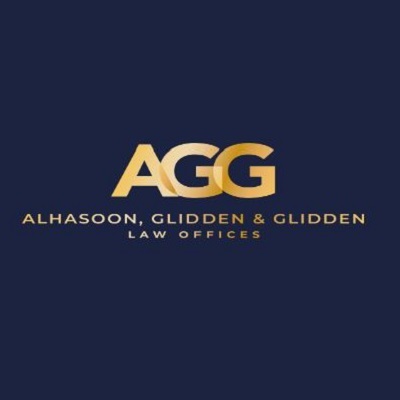 Alhasoon, Glidden & Glidden, LLC law firm is a boutique law firm that focuses on Personal Injury, Immigration, and Criminal/DUI Defense. Our attorneys aggressively fight for your rights and to get you the compensation you deserve for your injuries. Alhasoon, Glidden & Glidden, LLC investigate and build every case as if it were going to trial from day one. Our attorneys will leave no stone unturned when investigating your case and will spare no expense on your behalf by hiring investigators, experts, etc. While we will make every effort to settle your case out of court when possible, when cases cannot be settled for a fair settlement, our attorneys are experienced trial lawyers and are prepared to aggressively advocate for you in court. We don’t allow insurance companies to minimize your injuries so they can maximize their profit; we fight to get our clients the maximum compensation they deserve.